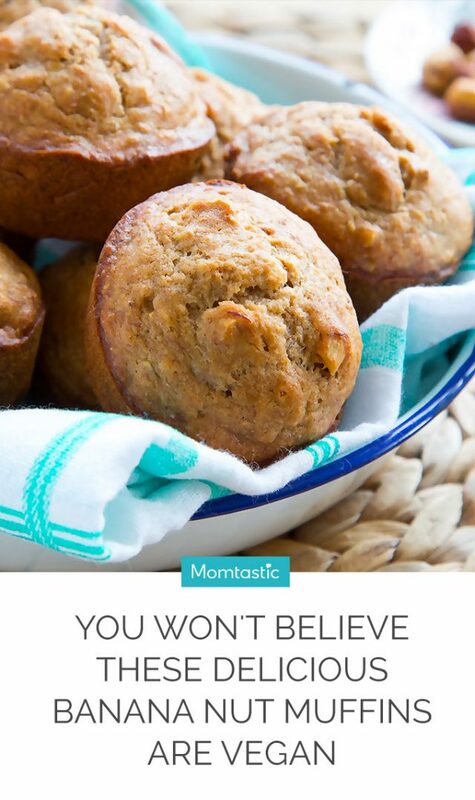 These muffins are technically vegan, but no one needs to know that unless you want them to. I don’t know about you, but my first experiences with homemade vegan baked goods were disappointing, to say the least. But I kept at it and found some really amazing vegan recipes to keep in my back pocket. 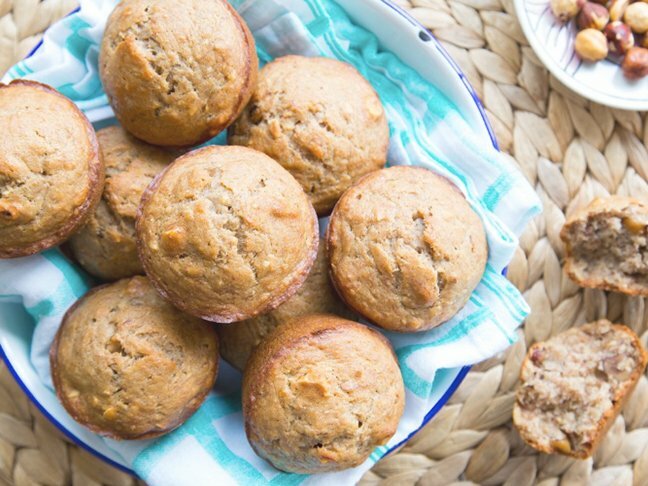 These super soft vegan muffins are made with simple, straightforward ingredients (no “flax-egg” needed!) 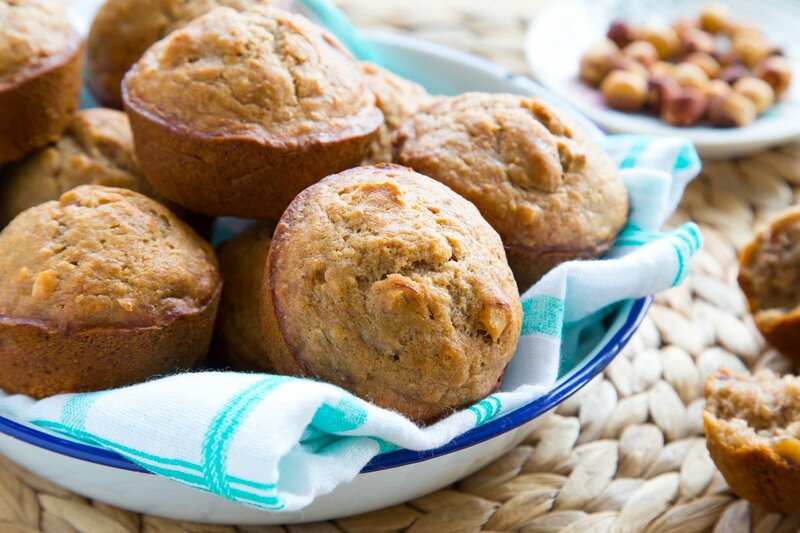 and are packed with sweet banana flavor and warm cinnamon spice. 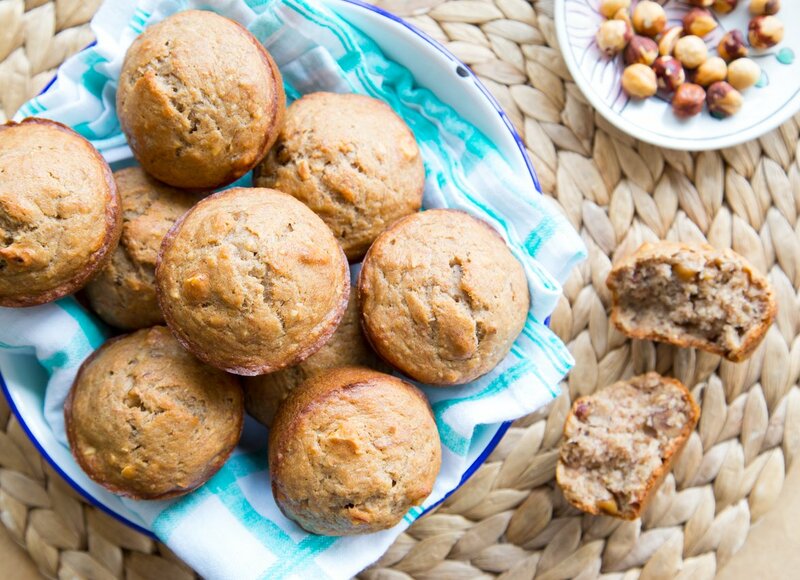 The recipe comes together really quickly and makes for the perfect back-to school snack or on-the-go breakfast! The batter is a mixture of white and whole wheat flours, creamy non-dairy coconut milk, mashed bananas and toasted hazelnuts. No one will ever know they are made with 100% vegan ingredients! Swap out the toasted hazelnuts for vegan chocolate chips if you’ve got a sweet tooth and looking for something a little more indulgent. Step 1: Preheat oven to 350 degrees F and grease a standard 12 cup muffin tray with extra coconut oil. 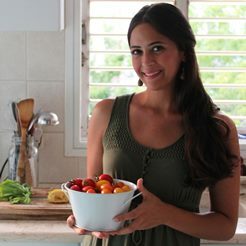 In a large mixing bowl mash the bananas using the back of a fork or a potato masher, until smooth and pureed. Step 2: Whisk in the coconut oil, coconut milk, and vanilla extract into the mashed bananas. Step 3: Sift in the all-purpose flour and whole-wheat flour over the banana mixture. Add the sugar, cinnamon, salt, baking powder and baking soda. Whisk until smooth and lump free. Fold in the toasted hazelnut pieces. Step 4: Pour the batter evenly into your greased muffin cups and bake for 20-25 minutes or until a tooth pick inserted into one of the muffins comes out clean. Transfer to rack and allow to cool before serving.